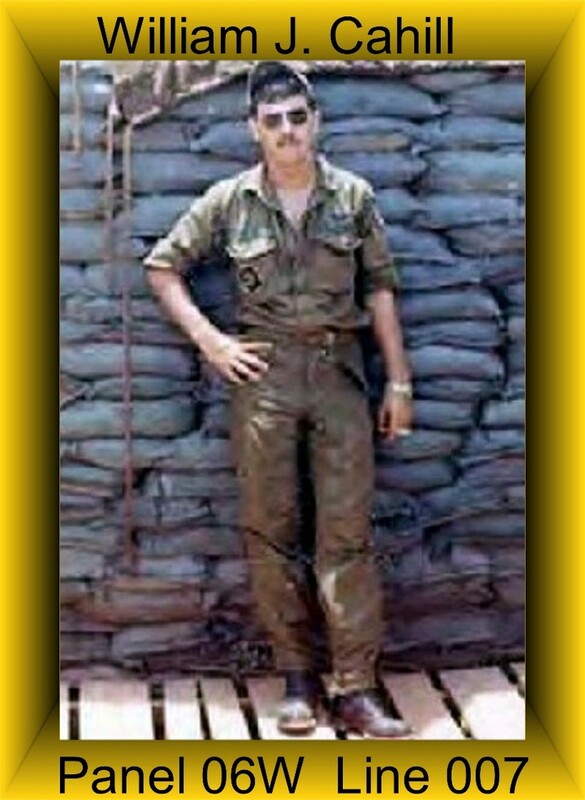 William Cahill was assigned to Charlie Troop on May 5, 1970 and was Killeed in Action on October 18, 1970. William was a Pilot of an OH-6A Light Observation Helicopter. William was awarded Purple Heart, Air Medal, National Defense Service Medal. Vietnam Campaign Medal, Vietnam Service Medal, and a set of Army Aviator Wings. All of them were my Brothers but Bill Cahill was my “Black Russian” drinking buddy. When ever we could we flew missions together but for some reason we didn’t on the 18th. The only thing that I can remember for the 18th is that I arrived on the flightline without a copilot for my front seat and I had to have one because of the CG limitations. The Scouts were short on OH-6’s so I borrowed Barney Vestal to fly as my gunner. When I arrived at the crash site. They were takin’ fire from the South and I rolled into a shallow dive and engaged with the 20mm cannon. The only thing that Barney said to me on the entire flight was that he didn’t know that you could empty the ammo tray in one pass. Sometime later he went to Vung Tau for Cobra training. I was in Washington July 4th, 2000 with the VHPA. The Troop and the Squadron had wreath laying’s but I just couldn’t go, I was afraid that I would breakdown and not be able to get back on my own. I have the same exact name as this man, and I discovered this story at a time when I was learning about transfiguration. Honestly, kinda made my hair stand up. Sorry for your loss. I have the same name and left the 14th CAB in Chu Lai in November 1970. I saw his name on the Vietnam Memorial Wall and it was pretty sobering. Sorry. I can understand and you are welcomed.